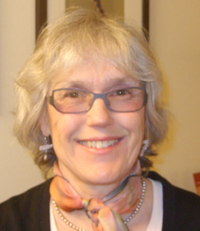 Roberta Holleman arrived in California after graduating from Connecticut College in 1968 with a degree in French. In 1970 she married Sonoma Cabinetmaker and Designer Terry Holleman and soon began keeping his books and raising four boys. The following decades found her honing her skills in childcare management, Santa Rosa Junior College bookkeeping courses, and automotive shop management. These hands on experiences in small business and non-profit organizations provided an excellent framework in which to apply the training for Certified Public Accountant received at Sonoma State University in the early 1990s. After passing the CPA exam she continued to work in automotive shop management where she implemented Quickbooks in the mid-1990s. There was a choice to be made in the late 1990s, pursue QuickBooks knowledge as a profession or attain CPA certification. The choice to attain certification was made when she joined Glenn, Guattery, Gunn and McAravy in 1997. After seven years of experience in audit and tax she was certified in 2004. In the meantime, she continued to enhance her QuickBooks knowledge and attained Advanced Certified Pro Advisor status. In the summer of 2010 when work at the firm changed to part time, Roberta decided to supplement her income. What unique skills would she offer? Roberta decided that she could provide hands on service to small business owners and small non profits as a CPA and Pro Advisor, with personalized meeting advising and training . She could offer solutions and research possibilities to help them improve their accounting and make use of the new products available today, especially in the realm of cloud computing options. As of today Symba Services has provided a steady stream of clients with hands-on support. Several have began using platforms for their accounting programs, some have adopted QuickBooks for the first time, others are more adept at performing their accounting tasks and reports in QuickBooks. As a QuickBooks Pro Advisor Roberta is dedicated to exploring new options for businesses and assisting business owners in improving their communication with their CPAs as she helps them interpret and successfully use their accounting data. And at as a Certified Public Accountant for Bollinger, Glenn, Guattery, Gunn and McAvary, LLP, she is eager to work for you as tax professional. Years ago I became enchanted by the Little Manitous created by Kevin Gadomski. The Mountain Lioness, a symbol of the care giving provider in the Ojibway Sioux culture aptly portrays the mission of Symba Services: to provide options and solutions for successful business management, money management and accounting.